Internal body pH balance refers to the ratio of acids to alkalis found in our body fluids and tissues. To achieve and maintain good heath, our body’s internal environment must maintain a proper pH balance just slightly above a neutral 7.0. This delicate pH balance is largely controlled by our lungs, kidneys, intestines and skin, which work to keep our internal environment in a slightly alkaline rather than an acidic state. This is no small feat, as various organs, tissues and fluids require different pH levels for optimal function, and acidic by-products from biochemical functions, food metabolism, exercise, immune responses and prolonged stress must all be neutralized. This means the body must maintain adequate alkaline reserves for optimal pH adjustment, while at the same time eliminating waste products. In order to accomplish this amazing feat, the body needs oxygen, water and acid-buffering minerals. Why is pH balance so important? 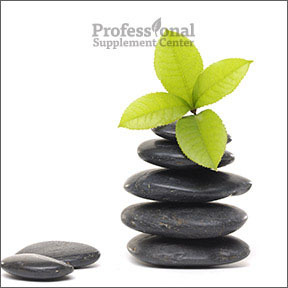 Simply put, balanced body chemistry supports long-term health. We thrive when our blood chemistry is slightly alkaline, ideally with a pH of 7.4. For numerous bodily functions, including metabolic, chemical, immunological and enzymatic reactions, a narrow pH range is necessary and even small changes can affect overall function and energy levels. Chronic imbalance in either direction can lead to illness and disease and put our body in a state of acidosis or alkalosis. Alkalosis, while uncommon, may be caused by hyperventilation, dehydration or certain medical conditions. Acidosis is largely due to the negative effects of our overly acidic diets, stressful lifestyles and certain health conditions, such as impaired breathing, diabetes and kidney or liver damage. Acidosis can lead to accelerated cell aging, inflammation, chronic fatigue, demineralization and organ damage, and may set the stage for a host of chronic health problems. What can happen when our bodies are in an acidic state? Accelerated cell aging can be caused by toxin accumulation, stress and nutritional deficiencies, which all affect pH levels. Continuous exposure of cells to an overly acidic environment may cause alterations in cell structure, leading to deterioration of the cells. As your body draws from its alkaline mineral stores to neutralize excess acids, demineralization of stored minerals such as calcium, potassium and magnesium can potentially affect body organs and pose serious health risks. Fatigue is a common symptom of chronic acidosis. In an acidic body environment, diminished blood oxygen supply to the organs, cells and tissues impairs the ability of cell functions including repair, nutrient absorption, communication and mitochondrial energy production. Inflammation may occur as a result of chronic acid buildup, which may leave the organs more susceptible to infections and disease. Many disorders are associated with acidosis, including osteoporosis, stroke, diabetes, organ failure, autoimmune diseases and cardiovascular disease. As Americans, many of us live with chronic, low-grade metabolic acidosis. While a diet high in alkaline forming elements, such as most fruits and vegetables, is essential to the maintenance of sustained health, many of the foods we eat negatively affect our naturally alkaline environment. To work towards a healthy pH body level, make smart choices and build a diet around alkaline forming foods. As with any healthy diet, this involves cutting back on processed foods and oils, fried foods and foods high in sugar. 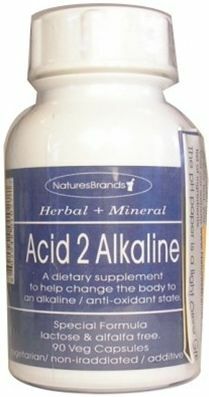 Alkaline forming foods include most fruits and vegetables, nuts, seeds and herbal teas. Acid forming foods include most grains, meats, beans and dairy. Lean towards a more whole food plant-based diet of 60 -80% alkaline-forming foods and 20-40% acid-forming foods. According to researchers, total healing of chronic illness takes place when the blood is restored to or maintained in a normal, slightly alkaline pH. Poor lifestyle choices and toxic chemical environments challenge our bodies to maintain homeostasis. You can help to tip the scale towards a healthier pH by eating a diet high in mineral-rich plant foods. Testing strips are available for home use to determine your own pH levels and to monitor how you are doing with your dietary changes. Consider plant-based dietary enzymes with your meals to assist in breaking down and assimilating nutrients, regardless of their pH. Supplementing with calcium, potassium and magnesium, getting moderate daily exercise and hydrating with plenty of water can aid your body in its continual quest for a balanced pH and homeostasis. pH Test Strips by Brightcore Nutrition – These super sensitive test strips provide a simple and convenient way to monitor your body’s acidity levels. Strips may be used for both urine and saliva samples. Easy to use, fast results. Each package contains 100 test strips. pH-Basic™ by Enzymedica – Designed to help maintain optimal pH levels, this product contains a synergistic blend of enzymes, nutrients and botanicals to enhance digestion and metabolic efficiency. Test strips to determine the effectiveness of the formula are included. Individual pH Strips also available. Gluten, soy and dairy free formula. Acid to Alkaline by Neurobiologix – This non-chemical proprietary formula contains a blend of organic and wild crafted herbs to naturally assist alkaline pH balance for overall health. Test strips included. Gluten and lactose free, Non-GMO, vegetarian formulation. The Importance of Maintaining a Proper pH Level. How You Rot & Rust. This entry was posted in Home and tagged Acid to Alkaline by Neurobiologix, pH Test Strips by Brightcore Nutrition, pH-Basic™ by Enzymedica. Bookmark the permalink.